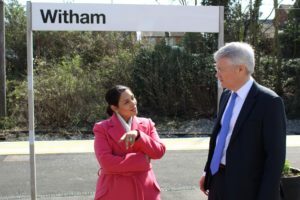 Witham MP and Chair of the Great Eastern Mainline Taskforce, the Rt Hon Priti Patel has welcomed today’s launch of the Delay Repay 15 scheme during a visit to Witham Station by Rail Minister, Andrew Jones MP. 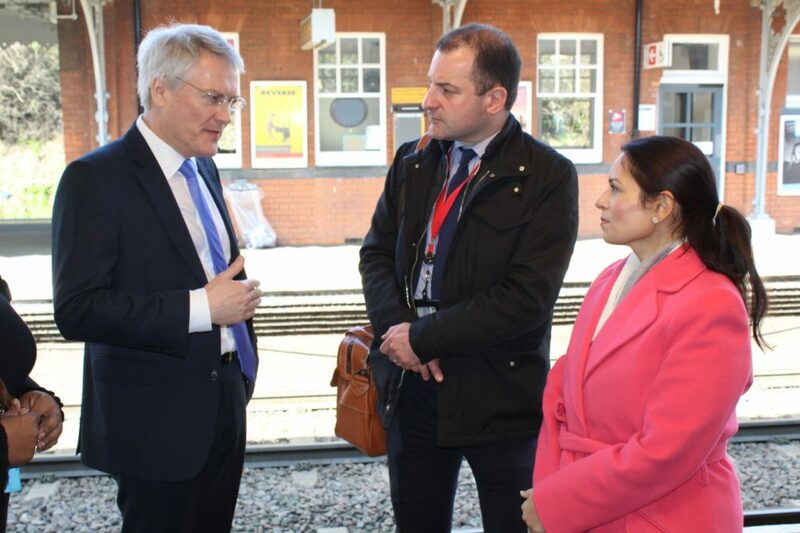 The new scheme, which starts on 1st April allows passengers on Greater Anglia trains that are delayed between 15 and 29 minutes to claim back 25 per cent of the single fare, regardless of the cause of the delay. Existing arrangements for claims on delays of 30 minutes or more are unchanged. Further information on Delay Repay is available at: greateranglia.co.uk/delayrepay.